“When two people are meant for each other, no time is too long, no distance is too far, no one can ever tear them apart.” A mere eight days after his wife passed, Marvin Miller took his last breaths and joined her in Heaven at 1:30am on Sunday, January 27, 2019 at his home. Per his wishes, a visitation will be from 10am-Noon on Saturday, February 2, 2019 at Kruger-Coan-Pape Funeral Home, 10 E. Williams Street in Danville. Masonic Services by Further Light Lodge and a funeral service by Pastor Raymie Gordon will begin at Noon. Following services he will be cremated and his ashes buried between his parents in Anna, Illinois. Marvin was 78 years old. He was born on August 18, 1940 in his home to Owen and Iva Chloe Miller, delivered by his grandmother. He grew up in the countryside of Mill Creek with his seven brothers and four sisters. Marvin attended school in Mill Creek and later Anna Jonesboro Community High School, graduating in July of 1957 when he was only sixteen years old. It was said he was the smartest kid to ever come out of that school. He moved to Elgin in 1958 to begin working for Wareco, which he managed for eighteen years. It was there he met Carol Ann Ross, and the two were married on September 1, 1961 and shared the past fifty-seven years together, through the good and the bad, and obviously could not be separated even by death. Marvin held a variety of jobs of other jobs throughout the years- for Meadow Gold Dairy as a milkman for six years, then owner and operator of Miller’s Sewer Service until the early 80’s. After that he worked as a truck driver for several years for P & EI, Foodliner, and finally AutoZone, which he retired from in 2005. After retirement he continued to help his son Scott with his tree service business until arthritis got the best of him. Growing up with eleven siblings made Marvin a simple man. As a youngster he was taught the value of hard work and the importance of religion. He sang gospel in the choir at Ebenezer Methodist Church across the road from the home he was born in. He enjoyed living off the land- fishing, hunting, and working in his garden. A cold beer and a home cooked meal where his staples. He loved his family, though it may not have been often said, and he instilled his work ethic in all of his children and grandchildren. As he grew older and retired, Marvin slowed down and his crossword puzzles and the Western channel became his life. He also looked forward to his weekly visits from Jen and John, after they went grocery shopping, where he would help them put up the groceries, tell stories, and enjoy whatever meal they brought that week (his favorite being KFC and Long John Silvers). 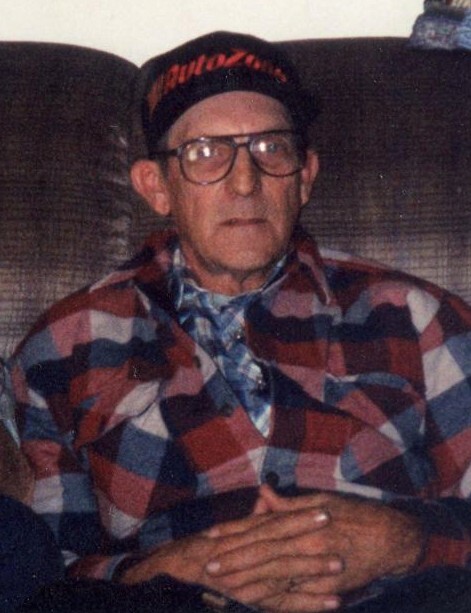 Marvin leaves behind his three children: Kim (Eric) Hagley, Scott Miller (Jodie Reavill), and Jamie (Steve) Bryant; seven grandchildren: Jen (John) Kruger, Jessi Young (Jody Eastin), Bailey Bryant, Dustin (Lindsay) Hagley, Cassidy Bryant, Cody Miller, and Owen Miller; Jodie’s children: Zachery, Chyanne, and Logan; her great-grandson: Boyd Hagley; his ten siblings: Jack (Iris) Miller, Marilyn Miller, Ron (Angie) Miller, Roger (Cathy) Miller, Cheryl (Tony) Milam, John (Clarinda) Miller, Nancy (Chuck) Baro, Barry (Beth) Miller, Randy Miller, and Kathy (Scott) Grulke; an unofficial brother Wayne “Rooster” Dunning; two sister-in-laws: Cathy Renfro and Deana Miller; and more cousins, nieces, and nephews than you could count. He was preceded in death by his parents, his wife Carol, his eldest grandson: Aaron Bryant; and his brother: Harold Miller. The family would like to thank OSF Hospice for helping to make Marvin comfortable in his last hours in the comfort of his own home, and also to Jodie Reavill for treating Marvin with such love and care his last few days, allowing Scott and Jen some rest. Messages and memories may be left on our website at www.KrugerCoanPape.com, or on the Kruger-Coan-Pape Funeral Home Facebook page.